Don't Drink and Drive, ring 50005. Taxis in Skelmersdale are at their very best when you call on Skem Express Cars Ltd. All our vehicles are well maintained and our drivers are fully CRB checked making us the ideal company for your holiday airport transfer, corporate account or trip to the shops. Reliable, prompt and polite our friendly team are part of the longest established firm in Skem. We have 110 vehicles at our disposal and offer a 24 hour service with online booking available on our main site and much more. Our online booking entails a free ring back service so you do not have to wait hours for a response. Our 24 hour booking is available 365 days a year and we have corporate online accounts available too. Our airport transfers are low cost for your convenience. We have been serving Skelmersdale with our corporate accounts for over 20 years. We cover both short and long distance journeys to any airport and within Skelmersdale. 50005 operate a free ring back service so ask our operators now. Also we will ring the phone on which you ordered the taxi twice when your car is outside. We have great prices on airport transfers and it is easy for customers to book and pay for your taxi online. Payments are made by secure trading for your safety. We support the 'don't drink and drive' campaign. With constant investment in the latest technology, Skem Express Cars Ltd is the largest private hire taxi company in West Lancashire. 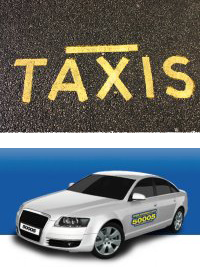 So to talk to us and arrange a taxi call today or visit our main site via the link in our sidebar. We look forward to hearing from you soon for airport transfers in Skem.